Spirits unbroken by the failed promise of the U.S.S. Dauntless, Captain Kathryn Janeway's indefatigable crew continues their odyssey of discovery through an enigmatic region of the Delta Quadrant, encountering a system inhabited by a species that, according to known physical laws, shouldn't exist. These unusual beings, the Monorhans, hover near the edge of extinction; technology from the Starship Voyager promises life. Janeway, compelled by the aliens' plight, dispatches Seven of Nine and Lieutenant B'Elanna Torres to the Monorhan homeworld. But an unexpected shock wave crashes the shuttle carrying Torres and Seven, catapulting Voyager into a place beyond the fabric of space-time. 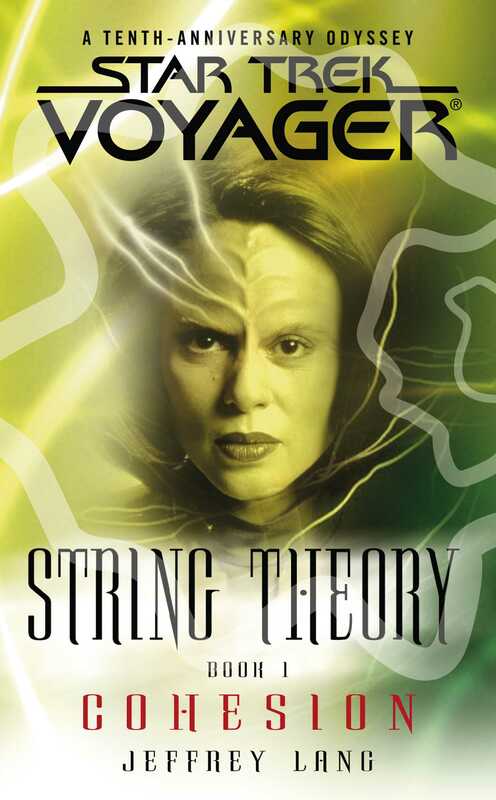 As B'Elanna and Seven wage an interpersonal war, Voyager struggles to prevail on an extradimensional battleground against an indefinable enemy. But fate has determined that one is inexorably linked to the other: the insurmountable chasm separating Voyager from her lost crew members must be bridged...or all will perish.